Our staff is comprised of a highly talented and diverse group of professionals who make a unique team dedicated to professional excellence and service to others. Many of our clinicians are in training, such as those pictured below, who are residents in an ADA-approved post-doctoral AEGD residency. In addition, a host of church and community volunteers support the FDC family as a life-giving source of light and love that enhances our capacity to expand and serve more. If you are interested in volunteering at the clinic, either as a dentist, hygienist, assistant, receptionist -- accountant, handy-man, or anything else! -- we welcome your gifts and contributions. Our clinic could not operate without the generous support of our community volunteers. Dr. McCracken currently serves part-time as a Professor at the University of Alabama School of Dentistry, and part-time as the Executive Director of the Foundry Dental Center. He received his dental degree from the University of North Carolina, and completed a prosthodontic residency at UAB. He earned a Ph.D. in biomedical engineering at UAB for research related to growth factors and healing of implants in compromised hosts, and later a Masters in Public Health in Epidemiology. His past roles within the University include serving as Director of Pre-Doctoral Implant Education, Director of Graduate Prosthodontics, and Associate Dean for Education and Curriculum Development. Dr. McCracken lectures internationally on topics relating to implant dentistry and the restoration of complex dental patients. As one of only 8 board-certified prosthodontists in Alabama, Dr. McCracken enjoys a dual role of both research at the University and clinical teaching and service at the Foundry Dental Center. Dr. 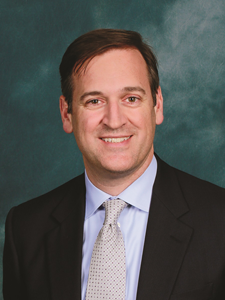 Guy Rosenstiel is a graduate of the UAB School of Dentistry, and completed a residency in general dentistry at the Birmingham Veterans Administration Hospital. Dr. Rosenstiel has a passion for continuing education. 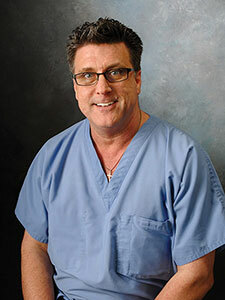 He has completed coursework in dental anesthesiology, dental implants, endodontics, and CAD/CAM restorations. He earned a Mastership in the Academy of General Dentistry in 2007. Dr. Rosenstiel has built a successful private practice with a strong emphasis on dental implants. He brings a wealth of practical experience with him to the Foundry Dental Center, including a strong background in oral medicine and sedation dentistry. He has served as President of the Alabama Academy of General Dentistry, and teaches part-time at the UAB School of Dentistry.